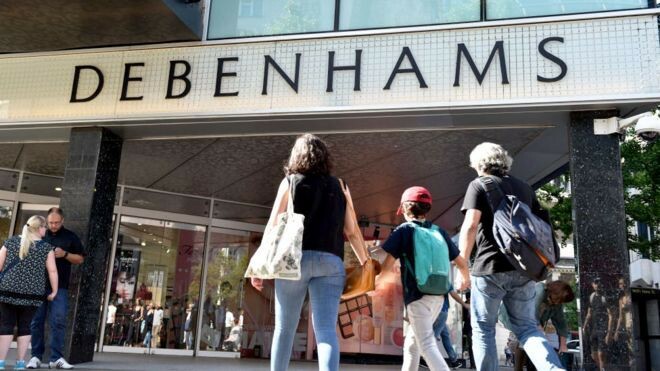 Could Debenhams have survived? Was there another way? This week Debenhams went into administration. A sad day for the high street as yet another British brand and institution disappears due to lack of relevance, the rising cost of retail, and an underestimation of the impact of technology in changing consumer behaviour. But as another one bites the dust, remaining department stores and retailers, many of which who have lost focus and a point of difference, must be quaking in their designer boots, and racking their brains to think of ways to future proof their brands and businesses. The rise of online shopping, the instagram era, and the influx of smaller, niche direct to consumer brands who sell more of what their audience want and need, seem to be tying these established corporate giants in knots. Here at Forward Fooding, we found ourselves wondering if hindsight is a wonderful thing or could this really have been avoided? Can established businesses learn from new startups and by doing so, could they avoid extinction? It is understandable in big business that you tend to focus on the here and now because that is where you are making money day to day, and that is where the pressure exists to turn a profit. But if you don’t have one eye on the future — the technology and trends that are going to have an impact on behaviour — how do you stay relevant and keep growing? For many, their greatest fear is the unknown. But the rate and pace at which technology is developing is beyond our comprehension, let alone our capability to think about how it will shape our future purchasing behaviour. Tech startups are developing ideas beyond your wildest dreams. From robotic restaurants to blockchain technology, AI and the rise of hyper-personalised subscription services, technology will be the biggest driver of our behaviour now and in the future. If you and your business don’t know what the future holds, it’s time to take a look and see how you can keep up. So many corporate giants have a CSR programme where they prove they are doing good by their customers and by their suppliers, and market it to their audience as a point of difference. This smacks of inauthenticity and today’s consumers who are also savvy cynics will see this a mile off. Where startups do this well is merging personal passions with business to create their brand purpose. Often the idea has sprung from a problem, an area of specific interest, or by identifying a need that can have a greater impact on the world around you in a human and relatable way. They are thinking not just about the future of their business, but the future of their industry, of industry as a whole and the impact they can make in making that future better for everyone. This is what makes shopping on all fronts more permissible; having a greater sense of purpose. It’s a win win scenario, and the ultimate winners here are the startups doing good for this world and helping their shoppers do so too. As for Debenhams, who knows if things had been different this high street stalwart would have survived? But as it is rumoured that Debehams retail stores will be turned into multiple smaller units to make way for more startup brands, it makes you wonder…. What if this big beast of the high street had turned to smaller startup businesses to see what it could learn from them? If it had collaborated rather than competed, could it have survived or found another way to keep going? Have you enjoyed this story? If so, feel free to hit that clap button below 👏 to help other fellow internauts find it!